Caring for your teeth means more than brushing and cleaning between them every day. It also means paying attention to the foods you eat. 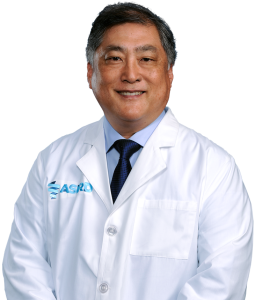 One of the most important nutrients for healthy teeth is calcium. Calcium strengthens the hard outer shell of your tooth called enamel, which is your teeth’s defense against erosion and cavities. To protect your teeth and get the 1,000-2,000 mg daily recommended amount of calcium, many people turn to dairy products like milk, cheese and yogurt. If you’re lactose intolerant or need to limit dairy, there are a number of foods that can still give you the calcium you need. Calcium is found naturally in some foods, while others – such as juice, tofu and even waffles – are now fortified with added calcium. Here are some non-dairy options from the USDA Food Composition Database to help keep your body and smile strong. Oranges naturally have a bit of calcium, but many varieties of orange juice (already a top source of vitamin C) now come fortified with calcium. For example, frozen orange juice from concentrate with added calcium contains 1514 mg of calcium per cup. That’s your daily recommendation in just one glass! 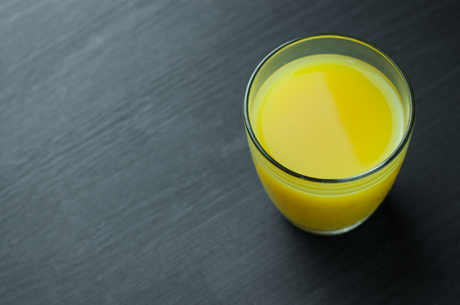 Juice, however, can be high in sugar, so drink it in moderation. If your child drinks juice, make sure to serve the recommended, age-appropriate limits. 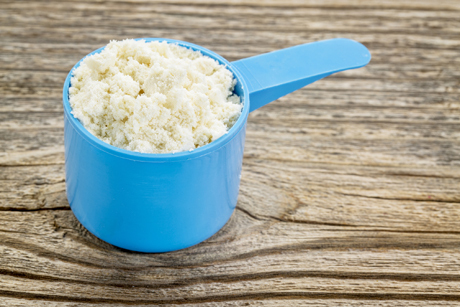 Varieties of whey powder – whey (1154 mg per cup) and sweet whey (1171mg per cup) – also pack a protein punch. Add some to your smoothies for a calcium and protein boost. When it’s fortified with calcium, tofu is a smart choice for your teeth. 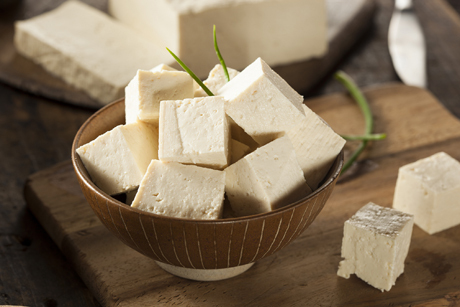 Raw, firm tofu with added calcium packs 861 mg of calcium per half cup. (Tofu without added calcium comes in around 100-200 mg per serving.) Tofu is naturally gluten-free and contains no cholesterol. It’s also an excellent source of protein, so add it to scrambles, stir-fry, salads and more. 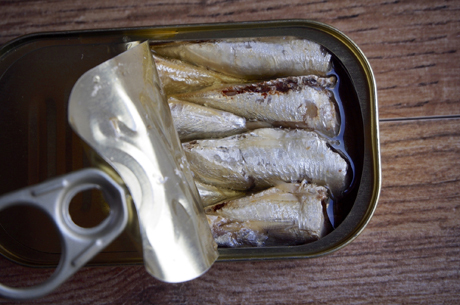 Canned sardines (569 mg per cup) and salmon (241 mg per cup) can do a body good – if you eat the bones. The bones are where most of the calcium resides. Because the bones are soft, you can mash and serve them so they’re undetectable in many dishes. Create a spread to serve on toast or make fish cakes. And if you like whole sardines or chunks of salmon, add them to salads. And if you’re thinking pizza – anchovies, anyone? 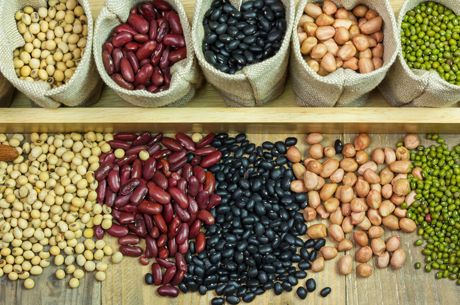 Beans fuel you with protein, fiber and plenty of vitamins and minerals, in addition to being a solid source of calcium. In just one cup, soybeans deliver 515 mg of calcium, white beans bring 485 mg and kidney beans clock in with 359 mg. Eat them roasted or steamed, whip them into a dip or add them to soups or salads. 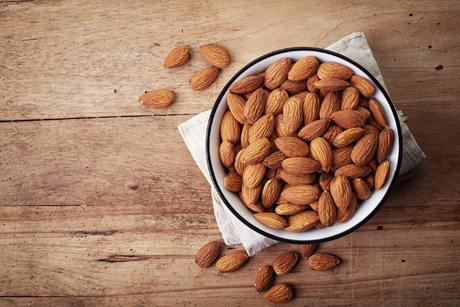 At 246 mg of calcium per cup, almonds are a great snack that contain healthy fats, fiber, magnesium and vitamin E. Reach for a handful as an afternoon snack instead of something sweet, and you’ll feel full till dinnertime! Think green when you want to add a nutritional boost to your plate. 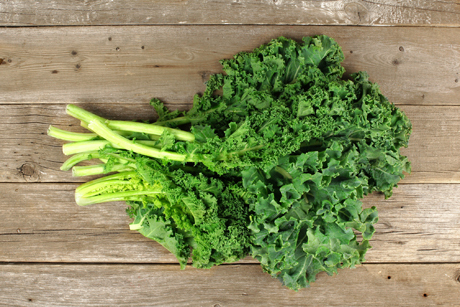 Leafy green vegetables like kale (179 mg per cup), frozen collard greens (357 mg per cup) and cooked spinach (257 mg per cup) provide you plenty of calcium. They are also powerhouses when it comes to nutrients, low in calories and high in fiber.. If you can’t drink regular milk, fortified soymilk can be a great calcium substitute. 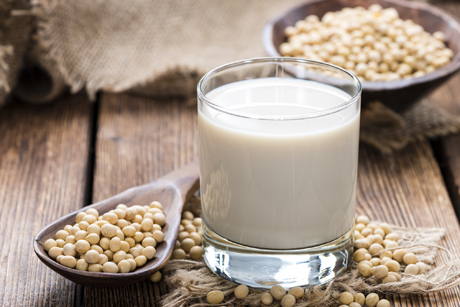 On average, soymilk enhanced with calcium contains 340 mg per cup (compared to about 61 mg per cup if it’s unfortified). There are many different flavors available, so check the label when you’re shopping to make sure you’re getting the calcium you need (and watch out for any added sugar). Drink alone, use it in cereal or add it to your morning coffee.